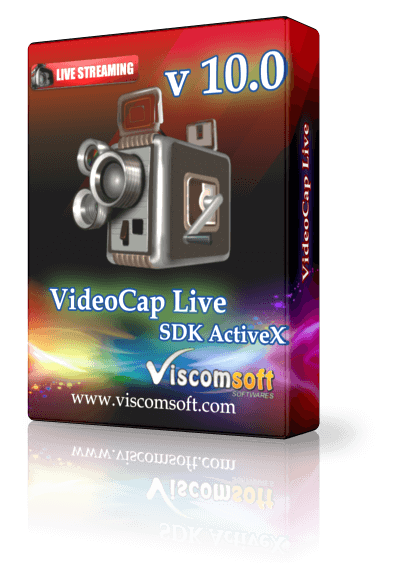 Step 1: Install the VideoCap Live SDK ActiveX, begin by launching the setup file (http://www.viscomsoft.com/demo/videocaplivesetup.exe). Select the desired installation folder for the VideoCap Live SDK ActiveX and continue with the installation on your development computer. Step 2: On your Facebook profile or page you manage, click on Live Video. 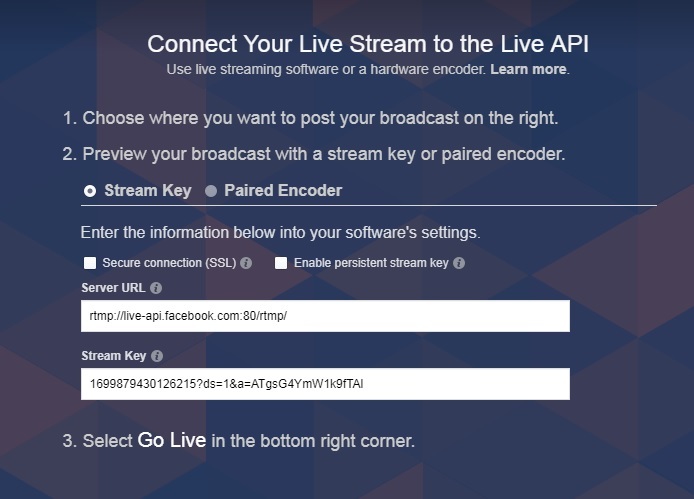 Step 3: When the Live Video window shows up, click on Connect. Step 5: Create New Visual C# Project, select Windows Application. Step 7: Now you will see the VideoCap Live ActiveX 's icon on toolbox, drag it to form. Step 8 :Add buttons on form. In button click event add the following code. 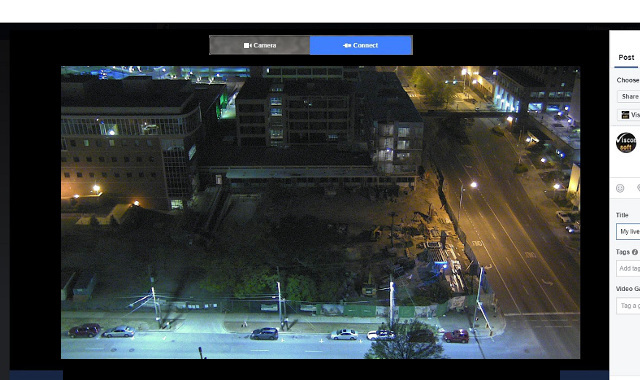 You should change the correct RTMPUrl value and IP Camera URL. 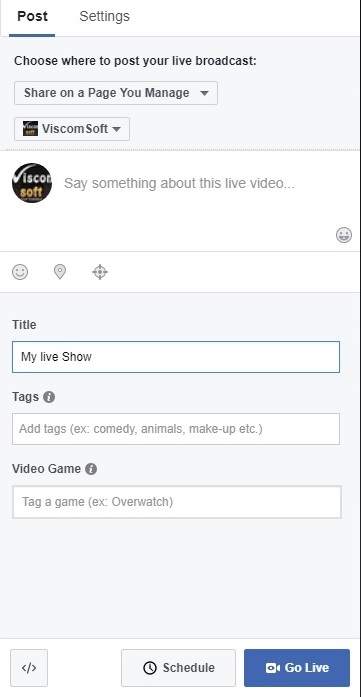 Step 9: Once you've click button, your Facebook Live window will show a PREVIEW. If Facebook Live is not receiving enough video to maintain smooth streaming, you may try decrease the videobitrate . Step 10: Enter your post details as well as an optional Title and Video Game title, then click Go Live.